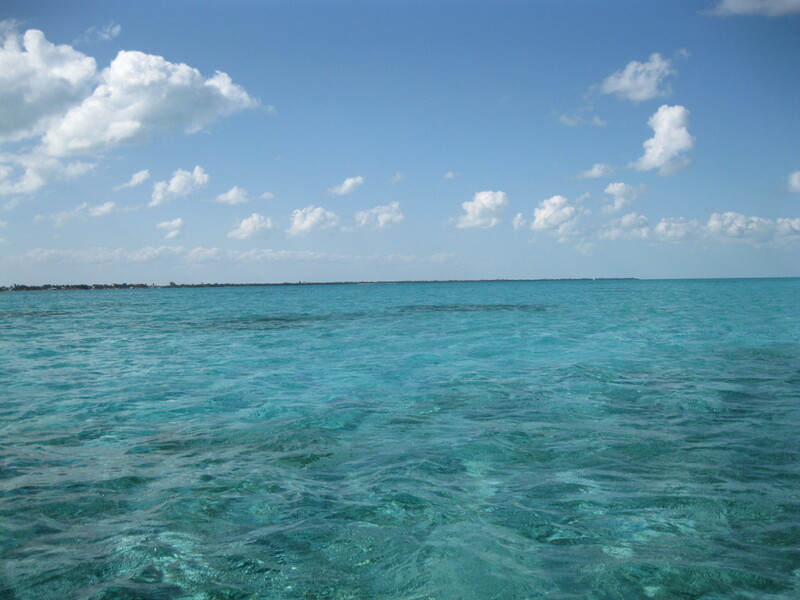 The Caribbean Sea laps the eastern coast of Belize and wraps itself around hundreds of off-shore islands. If you find the allure of sun, sand and sea irresistible, I’ve got three recommendations for you. Take a good look at Caye Caulker, an island forty-five minutes from Belize City by water-taxi; Hopkins Village, 15 miles from Dangriga Town, the capital of the Stann Creek Region of Belize; and Placencia Village at the tip of the Placencia Peninsula mid-way down the coast. There is much to recommend in these destinations and if you have the time you might visit all three, but for a short visit pick the one you think best meets your needs. 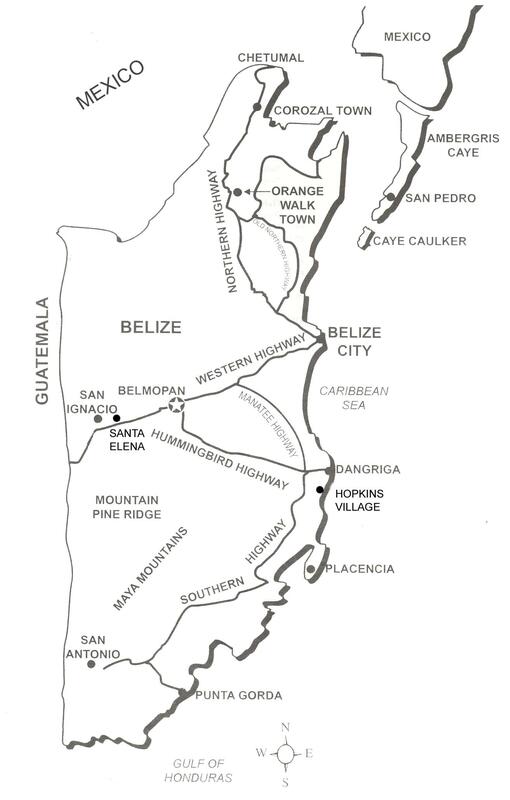 The next few blogs we will concentrate on the recommended Caribbean adventures numbered not according to rank but according to their north to south position in Belize. 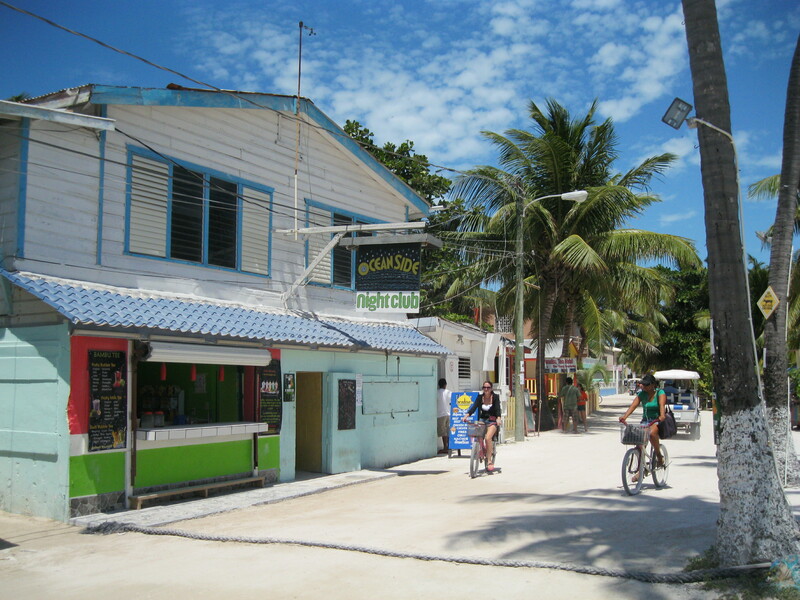 Caye Caulker is what San Pedro on Ambergris Caye used to be like 30-40 years ago. 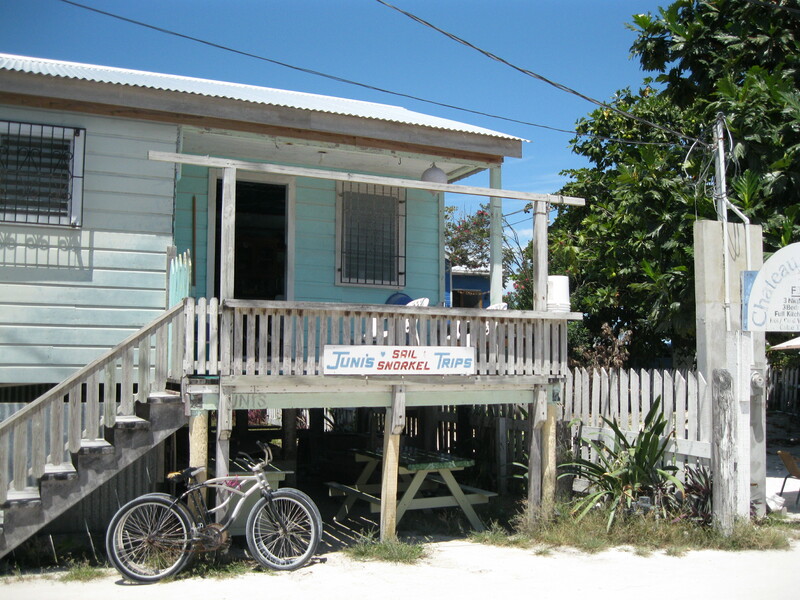 There are regulations on Caye Caulker that limit the number of motorized vehicles allowed on the island. The most popular and common form of conveyance is the battery operated golf cart (taxis) and the bicycle. And the island is small enough to get you from point to point on foot. But, as with Belize itself, the times they are a changin’, and the Caye Caulker we embraced nearly 15 years ago has changed dramatically and not always to our liking. Truth be told, Belize has been discovered as a beautiful and relatively inexpensive English-speaking country in Central America and Caye Caulker has been identified as a crown jewel or a gold mine and the adventure capitalists are arriving in droves to buy up prime land, build on it and market it to the tourists and travelers back home. So, let us say, it is not as idyllic as it used to be. Heavy equipment has to be brought in to dig foundations and transport the rebar and concrete blocks, the lumber and cement needed to build the three story condos and hotels and supermarkets. When all the building is done, the big trucks and Caterpillars will disappear. In the meantime, they just have to be tolerated as a new if temporary way of life. We are waiting it out. When the splurge is over, everything will settle down and return to something akin to the way it used to be. So say I. This is a long post, far more than you might be able to eat at one sitting. Divvy it up into digestible meals and return to the table when you get your next craving. 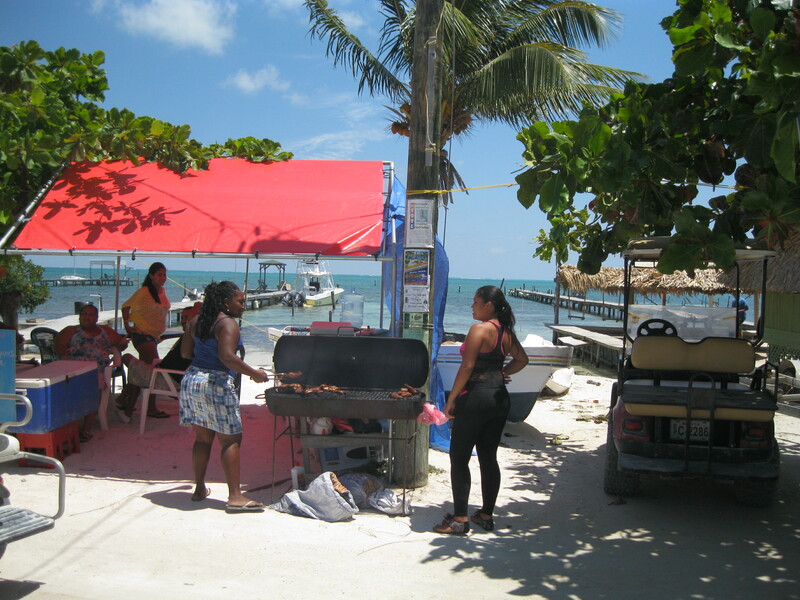 Caye Caulker has a permanent population of about 1600 Belizeans, many of whom are Mestizos with an added mix of Garifuna, Creole, Europeans and Rastafarians from Jamaica and Chinese, mostly from Taiwan. The island is approx. 1 mile wide and 5 miles long and on the surface seems to be made of pulverized white sand. With colourful hotels, condos and cabanas on either side of the main road, the beach and the blue sky dotted with white clouds, it is a very pretty sight. The Barrier Reef is less than a mile away so you can bet that scuba diving and snorkeling, kite and wind- surfing, fishing and swimming are very popular. The Blue Hole on the other side of the Barrier Reef is world-known by serious scuba divers. You can also snorkel around it. How do you get from the International Airport to Caye Caulker? Let me count the ways… If you arrive at the Airport in Belize on time, retrieve your luggage from the carousel, proceed to Customs (you might want to check out the Duty Free store on the way to Customs and stock up on some wine/booze), clear Customs and take an Airport Taxi (fixed fare of $25 usd or more) to one of the two Water-Taxi Terminals in Belize City. Your taxi driver will know the schedules of each Terminal and should be able to advise you which one to take. The last water-taxi leaves the terminal around 5:30 p.m. It’s a 45 minute boat ride from the terminal to Caye Caulker. That being the case, if your plane landed between 3 and 3:30, I would say you could comfortably clear Customs and get to the Terminal before the last departure. (It’s about 20-30 minutes from Airport to Terminal). If you land at the Airport at 4, you might make the last water-taxi to C.C., but you better have a fall-back plan. If you know you are not going to land in time to get to C.C., you best make a hotel reservation in the City to make sure you have somewhere to stay. Then, in the morning, make your way on foot or by taxi to the Water Terminal. They operate come sunrise. Our favourite hotel recently closed its doors so I don’t have any first-hand experience to make a recommendation, but I have asked around and here’s what I’ve come up with: Close to the Terminals, Bakadeer Inn, Belcove Hotel and the Conningsby Inn, a well-established 12-room hotel within walking distance; or, by taxi and a little higher-end, the Princess Hotel, which also has a casino. Alternatively, you can fly to C.C. from the International Airport. It will cost about 80 usd. per person one way but it is a short 20 minute flight to your destination. Keep in mind that there are no night flights so you will have to fly out at the latest around 5:00 p.m. to land on C.C. before dark. When we first traveled to Belize, I’m not sure air flight was an option. If it was, it is not an option we would have exercised because it was not the way we wanted to travel. For us, in early retirement, it was all bus and boat, a budget way to travel Belize and one better suited to getting to know its people. Now, 15 years later, we are slowing down a little and have been flying Tropic Air from place to place. And it’s great. Far less wear and tear. Faster by far. And we still have our memories of our more adventurous visits. Caye Caulker is busy with tourists and travelers from around the world, crowded but not unruly on the weekends but quiet and slow-paced for the rest of the week. 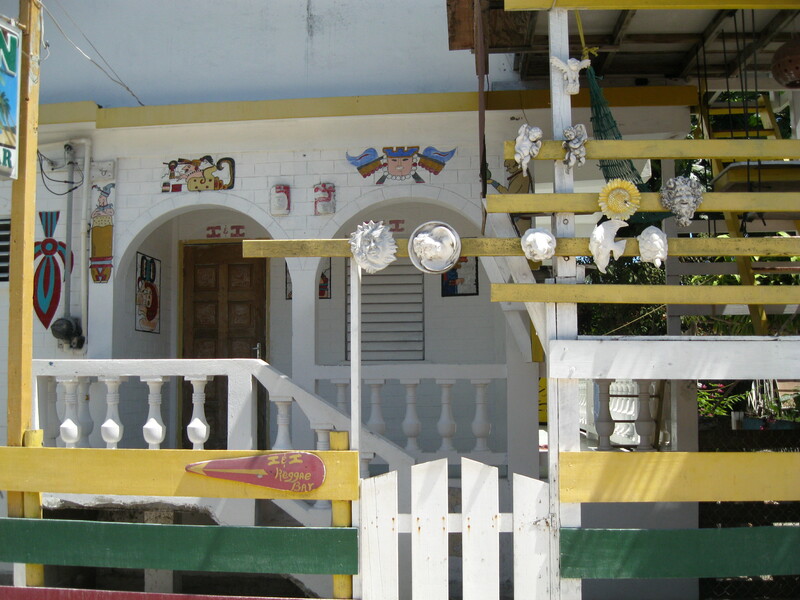 There are shops offering Belizean arts and crafts, tropical clothing, ice-cream stands, coffee shops, fruit and vegetable stand and much more. One block over next to a new Chinese Hotel, you will find a bakery where you can get all kinds of pastries and breads. And cookies. Ask for the cookie locals call ‘hard times’. It’s a good dunker with your morning coffee. And there are restaurants, more than 50 of them, serving everything from Belizean to Italian, American-style pizza, Chinese, and Mexican.Off the main drag, you will find many smaller restaurants offering eat-in or take-out rice and beans with fried chicken and potato salad at very reasonable prices. Syd’s,on Middle Street, has a back-yard patio. Very pleasant in the evening when the sun’s gone down. It also has an inside restaurant and is famous for its take-out food. For catch-of-the-day barbecued fish, try Rose’s just off the main drag, a little bit further along from the Habanero, which is worth checking out. Both Habaneros and Rose’s are relatively expensive. Then there is a fairly new restaurant off the main drag across from Pancho’s Villa. It is called Celinas Blue Water Deli that has made a very good entrance on the restaurant stage. And Aladdin’s Restaurant is a big winner if you like Lebanese food, which I do. These two restaurants are new and may not make the cut to 2017. We shall see. You might also check out the The Rainbow restaurant which has been built on stilts above the Caribbean Sea on the way to the split and not far from the Rainbow and not far from it the Happy Lobster. Both of these restaurants have stood the test of time. If you walk south on Front Street toward the Tropical Paradise, you will discover four or five fairly new restaurants which we really have explored ourselves. Check them out and let me know. 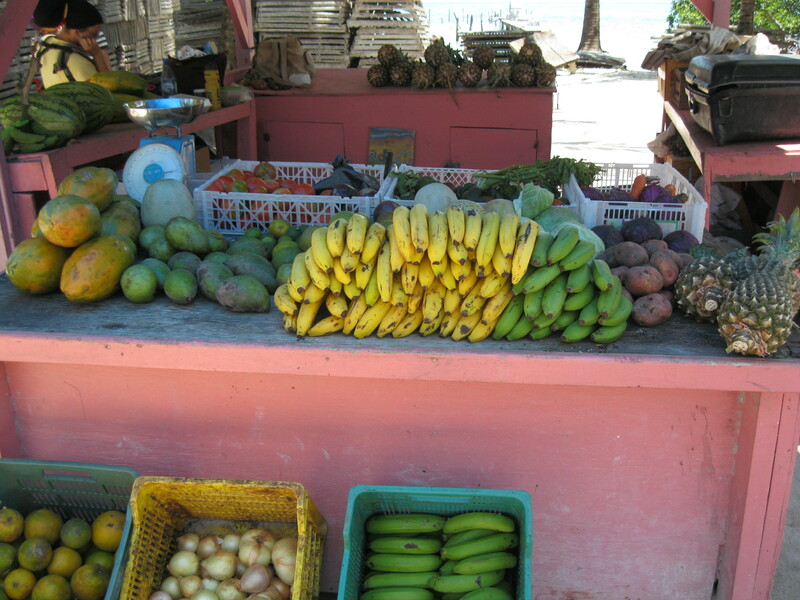 You will also find Belizean food-vendors on the street and some food-pedlars who walk or bicycle around town with delicious home-cooked morsels like banana bread, cookies, sweet-pies, meat-pies and tamales and dukunu, a corn based confection. You can pick up filling and delicious lunch at the split or on the street for 3-5 bze or 1.50-3.00 usd. Saturday is barbecue day on the island. At Fry Jack’s just north of the Belize Bank and the ATM, you can get a full chicken dinner with beans and rice and salad for 8 bze or 4 usd. Fry Jacks also offers a thick pork chop and bbq’d back ribs at a little extra cost. Caye Caulker has changed significantly since we first visited many years ago, but it hasn’t lost its small island charm. There has been development in the south end of the island where many high-end cabanas have been built for vacationing American and Canadian families and on the shore-line between the Caye Caulker Water Taxi Terminal and the Tropical Paradise Hotel where five or six condominium-style hotels have sprung up, offering high-end digs at high-end prices. In the centre of the island two fairly large hotels owned and operated by members of the Chinese community have been built. Yet there is no sense of over-crowding, probably because though Caye Caulker’s popularity is on the rise the tourists are simply being absorbed. I’m not a high-end guy. I pay between $65usd and $90usd a night for double occupancy. For that I want a room or a cabana with a private bathroom, electricity, hot water, window screens, well-kept up, clean and secure and preferably in a small family-owned hotel or resort where you can get to know the owners and staff and from them get to learn a little about what’s going on in Belize. 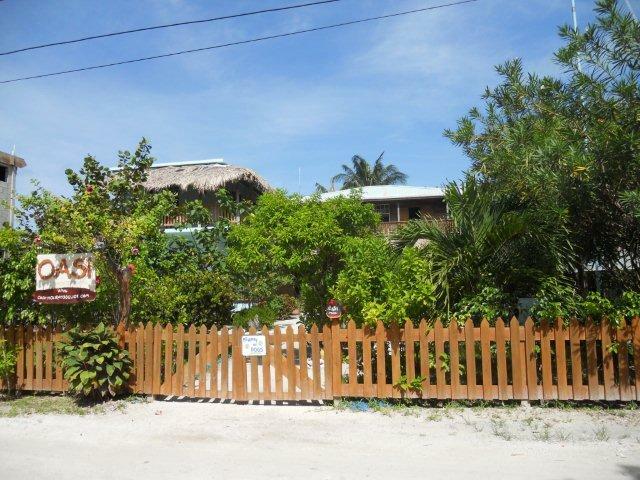 You will get all that and more with the places I’m going to recommend for your stay on Caye Caulker. 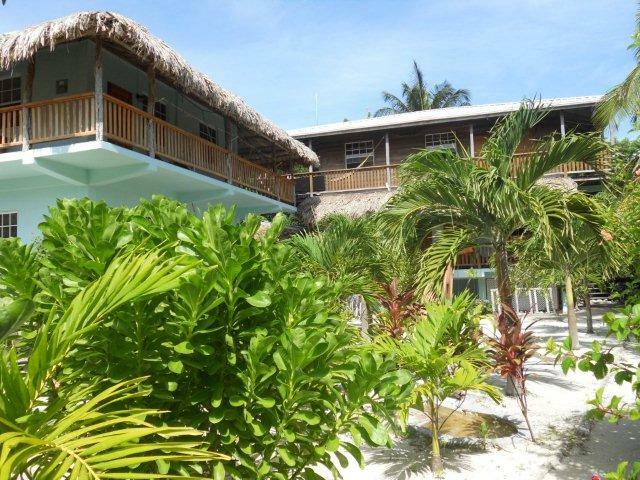 The Oasi Apartments are on the south side of Caye Caulker on the road leading to the little airport, a 5 minute walk from the sea and a short bicycle ride to the ‘split’, a popular swimming spot. There are four apartments, two on the first floor of a two-storey building. Luciana lives on the second floor. Then there are two other apartments or cabanas, one on top of the other, in a separate building. All the apartments are spacious and tastefully appointed and each has a full kitchen and bathroom, open concept living room and queen-size bed, TV, fans and air-conditioning. The apartments are built on a large compound full of bright flowers, zericote and palm trees, and bougainvillea bushes. Off to one side, Luciana has provided a good-sized propane barbecue and a large picnic table under a large palapa. 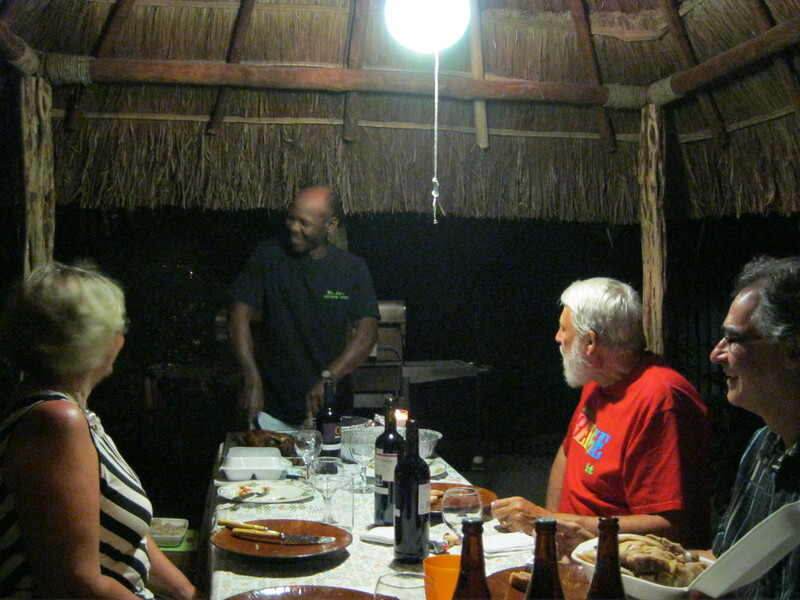 We cooked many hearty suppers of sausage, pork chops, chicken and fish which we often shared pot-luck with our hosts, fellow Oasi guests and friends on the island. In 2014, Luciana opened a cozy bar called Il Baretto, offering some wines and cocktails not readily available anywhere else on the island, plus the regular beers and booze. It is small and friendly and very mindful of the guests who are under no obligation to drink there. I would often have a beer while I was barbeque-ing supper but I always had my beer, wine or rum waiting for me on the second floor. The bar is open from 4-10 p.m.but will party on from time to time. Luciana has brought in one of the top musicians on the island, a Cuban guitarist who plays like nobody I’ve heard before. This guy plays Cuban, Mexican, American pop and sometimes Chopin with an improvisational flare that would be envied by any jazz musician. What a great way to spend an evening. Luciana is a people-person. She can arrange day-trips on and off the island and would gladly share her knowledge of the island and all it offers. As a guest in one of her cabanas, she offers you water in 5 gallon plastic containers, WiFi, and a bicycle to get you around, all free. Check out her web-site for more details. There is a lot of competition on the island but Luciana’s Oasi is number One. In a 2014 map of Caye Caulker, roughly 90 hotels, guest houses and hostels are listed. 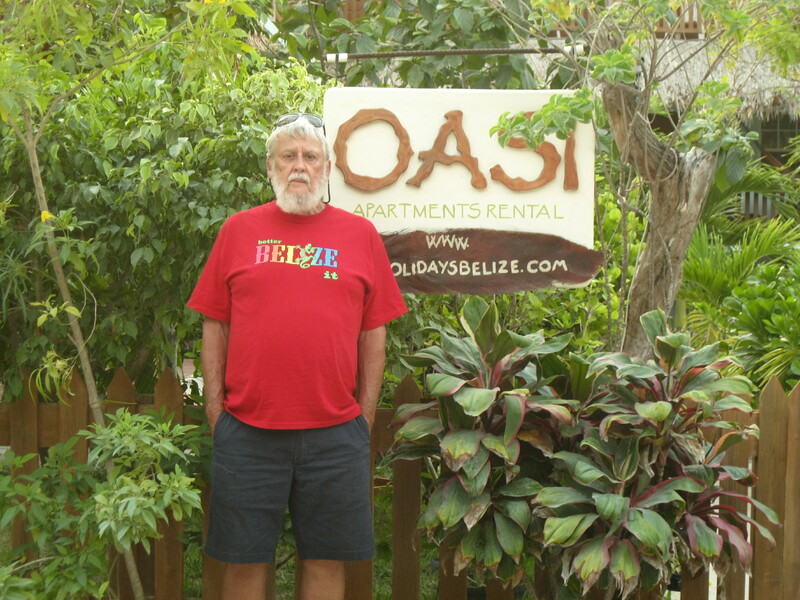 Check out www.gocayecaulker.com for a map and list of accommodations. We have only stayed in a few places on the island, but we have checked out many more, some of which I list here. All I am saying about these places is that they appeared to meet our standards of price, security, cleanliness, good management. 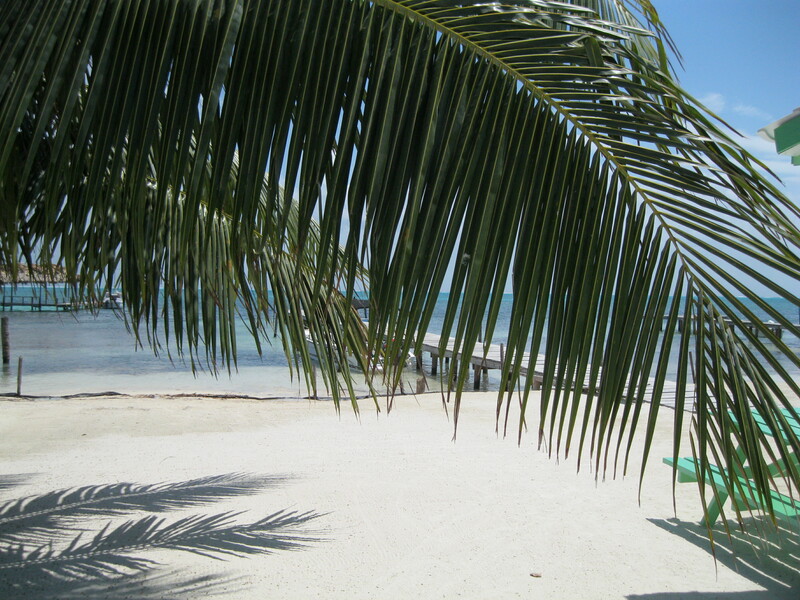 There is more than enough to do on or around Caye Caulker. The key to success is don’t try to do too much, and if that sounds like odd advise, think of this: there is so much to do but likely in a limited time frame, so use your common sense; you are in tropical time-zone; it is hot; you don’t want to get too much sun in any one day; you have to keep hydrated; you want to enjoy the food and drink and company. So don’t overdo any one thing. Balance, my friend. And enjoy life to the max. Bicycling, canoeing, fishing, snorkeling, scuba diving, kite skiing, wind surfing and other water sports are readily available from many reputable tour shops on the island. You best shop around for what you want to do. The prices are pretty much the same and so are the activities offered. Ask your host to recommend tour guides or ask fellow travelers about their experiences or rely on your gut-instincts to make a choice. You can rent bicycles by the hour day or month. Make sure you understand the terms of your agreement. You can sign on to sunset boat trips. 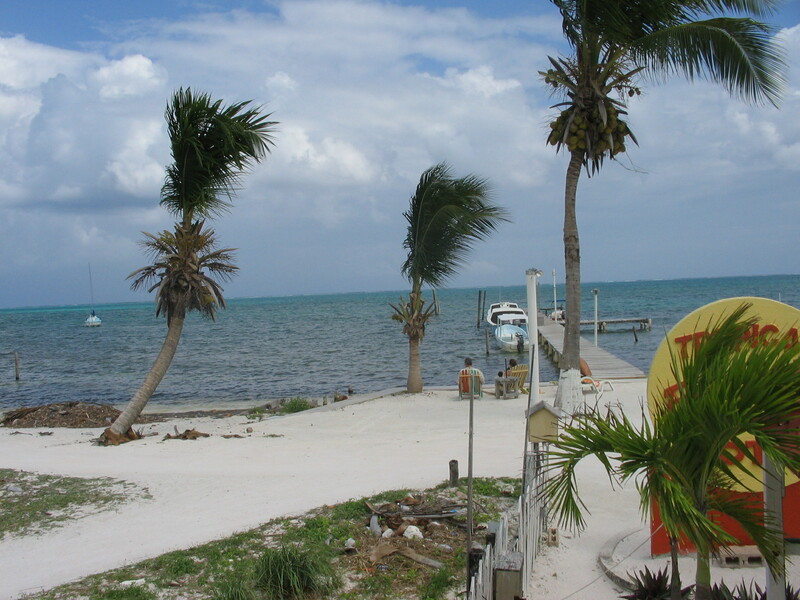 You can day trip to San Pedro on the Ambergris Caye and check it out. It’s only half an hour away by water taxi. You can arrange to be taken off the island to visit the Lamanai archaeological site and maybe tie that in with a visit to Orange Walk Town. You can take the water taxi to Belize City and check it out. Or you can just swim in the sea, tan on the beach or on the dock or go for walks around the island. At night you can check out the restaurants and the night life. Ask around where the action is. The most well-known night-spots are the I & I about a block from the Tropical Paradise Hotel, and the Lazy Iguana at the split. And, as I have already mentioned, Luciana at the Oasi Apartments on the road to the Airport has opened a bar Il Baretto on the premises. Open from 4-9. Check it out. Last year we had a great time at the Barrier Reef Sports Bar on Front Street. Originally owned by Lloyd, a Canadian revered on the Island, and now owned by Scott, an American, who is building his own legend, the Sports Bar rocks on Friday Jam from 4-7. I mean rock and roll, baby. With a core of 5 musicians and new-comers welcome. the band blasts out some of the best rock I’ve listened to. And check out Tuesday 7-10 for Open Mike, a less frenetic rendition of Friday, but in a different way just as enjoyable. Tommy, one of the musicians and one of the hosts of Open Mike, once described the Jam as the Open Mike on steroids. Apt. Like any good adventure, when you throw your bags into the water-taxi or climb on-board a Tropic Air plane and begin the fun-ride back to Belize City, you will be glad you are heading home because that’s where your family and friends are, but you will be sad to be leaving Caye Caulker and chances are very good that you will want to return.